As Painless360 and Menace RC continue the lab testing series this is of particular interest to me. Most surprising was the huge losses RG316 gave, made me rethink a few things in my builds, changes will be made ! Just watched this. I'd recently changed to using 90 degree adapters on my goggles as well! I've now ordered some 45 degree ones to replace them. However, I think the use of angled adapters is generally better - especially if you know you dip your head while flying. 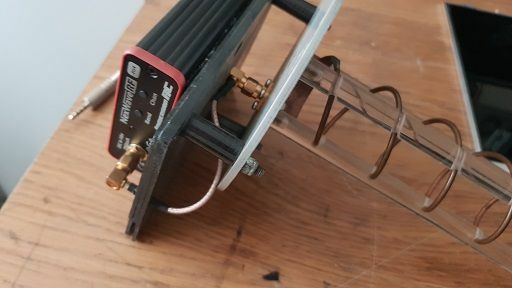 If you're using a helical antenna, the gain with having the antenna pointed horizontal to upwards must be far greater than having it pointing or drooping towards the ground and offsets the loss due to the adapter to some extent. Its made me think about a few things, and yes the Helical was one of the first that sprung to mind. My 2.4 and 5.8GHz helicals are both sporting 90 degree adaptors coming off them, which is having that much of an ill effect I think now I will change both to get all the dB back again. The antenna tracker will be harder to sort than the helicals straight onto goggles, swapping the 90 out for a bit of RG402 is very practical to do really. Now this is 1.2GHz so I can't really use the losses mentioned in the video and the 1.2 frequency is well below the intended 2.4GHz use for RG316 so would I actually be incurring any / as much losses I'm unsure. But again, it should be ok using 316 in this case as its within the spec of 316, but I'm still wondering the effects the 2 90 degree connector will be having on it. 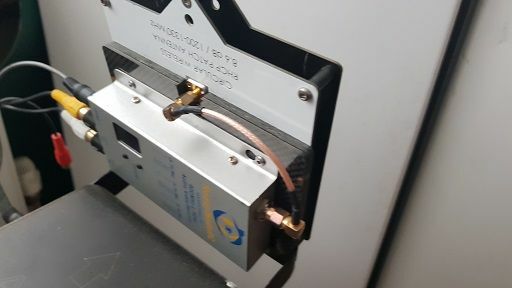 In both cases though, a simple swap out for a length of RG402 isn't quite as easy and practical as it would first appear with the antennas SMA being where they are in the first place. So now I'm thinking, are the losses on the lower frequencies that large to warrant going to all the effort, or in fact on the lower frequencies are they small enough to be negligible.